Agenda Now Available on "Event Schedule" Tab! Without sufficient food and a safe place to sleep, college students across the nation are struggling to learn. #RealCollege is the movement to do something about it. 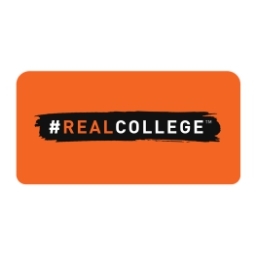 Join students, practitioners, policymakers, researchers and activists at the annual #RealCollege convening to develop strategies and take action to secure students’ basic needs. Read last year's convening summary here. Press Registration (no cost) is still open. To learn more about our event, including hotels and other logistics, please download our app using the event code "RealCollege2018." The planning committee is also reserving a limited amount of additional rooms for students in need of a lower nightly rate, as well as for guests joining us beyond the dates of the convening. If you are in need of a room under a lower rate or for additional dates beyond the listed blocks, please contact the event coordinator, Alison Bowman, at alison.bowman@temple.edu. Delta is pleased to offer special discounts for Temple University. Please click here to book your flight. You may also call Delta Meeting Network at 1.800.328.1111 Monday–Friday, 8:00 a.m. – 8:30 p.m. ET and refer to Meeting Event Code: NMSA9. Booking fees are waived for meeting reservations. We have also partnered with United Airlines to offer travel discounts to our event. Please click here and enter (Z CODE: ZFEJ AND AGREEMENT CODE: 864796) in the Offer Code box. You may also call United Meeting Reservation Desk at 1.800.426.1122 Monday-Friday, 8:00 a.m. – 10:00 p.m. ET and Saturday/Sunday 8:00 a.m. - 6:00 p.m. ET. Booking fees are waived for meeting reservations. Please note that flights must be booked between 9/25/18-10/3/18 in order to receive the discount. Nearby parking is available at the Liacouras Garage, 1710 N 15th Street. The lot is publicly available for $18/day. The planning team holds a limited number of parking passes for guests in financial need. Please contact Alison Bowman at alison.bowman@temple.edu for more information. To learn more about our event, please download our app using the event code "RealCollege2018." If you are interested in funding this year’s event, please email Sara Goldrick-Rab at SGR@temple.edu. If you have other questions about the event, please email the event organizer, Alison Bowman, at alison.bowman@temple.edu.